Since camera box is connected through only one Ethernet cable it’s important to deliver via this cable enough power for all internal devices. Length of this cable is more than 15 meters so I decided to use 19v laptop power adapter and custom down-converter inside camera to get 12, 5 and 3.3 volts. For power delivering used free Ethernet pairs of wires: blue and brown. Total cable length is 15 meters and it’s very important to protect device from the static electricity, electromagnetic interference and voltage spikes. For better reliability I used two Ethernet protection circuits on both sides of the cable. 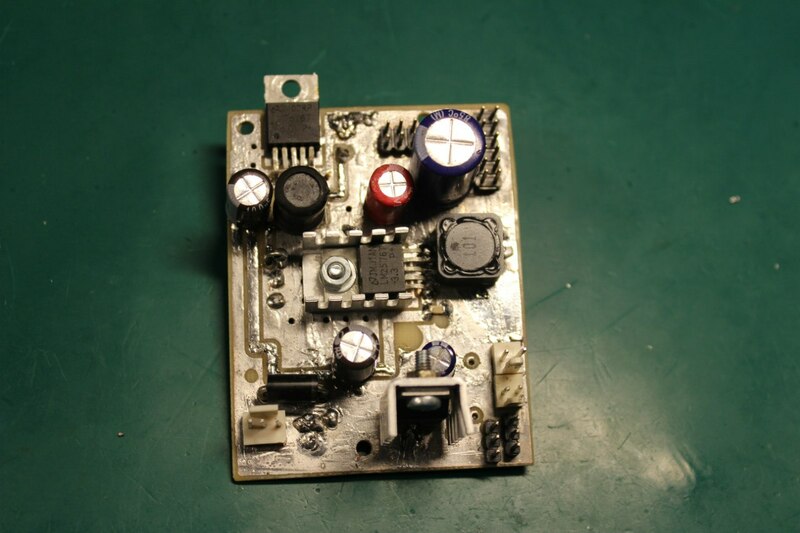 Diode 1.5Ke 7.5 is pretty fast diode and opens when voltage on the line exceeds the 5-6 volts. This voltage is draining on the Ground. Two spark gaps is an arrestors from Epcos. DC park-over voltage is should ober 75 volts. You can bypass right arrester with megaohm resistor for better perfomance and constant current flow. 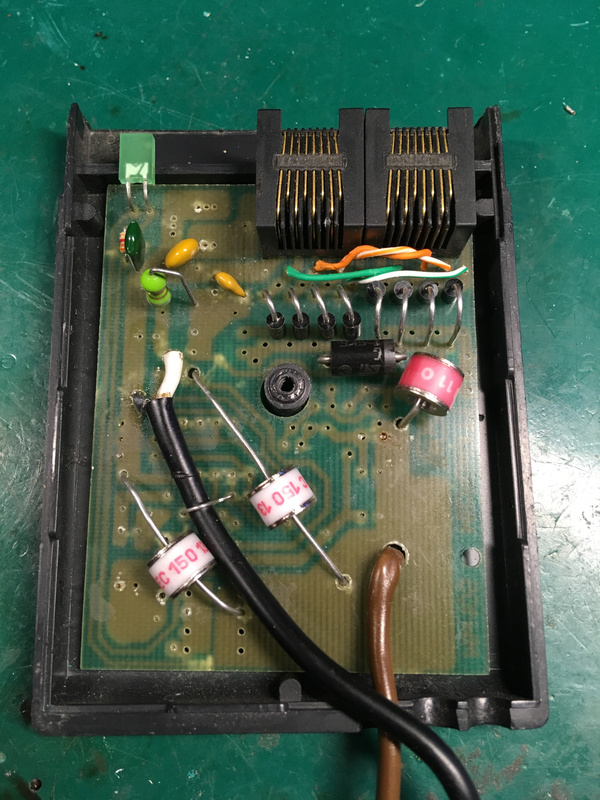 Both parts of the protection circuit should be properly grounded. In-door power injector is built using old power splitter from telecommunication equipment. Actually there is only plastic case and old PCB with all removed old components. You can see protection circuit near the 8P8C connectors. Power supply is just directly connected to the brown and blue Ethernet pairs using few bypass capacitors. Both power wires is also grounded via arresters. 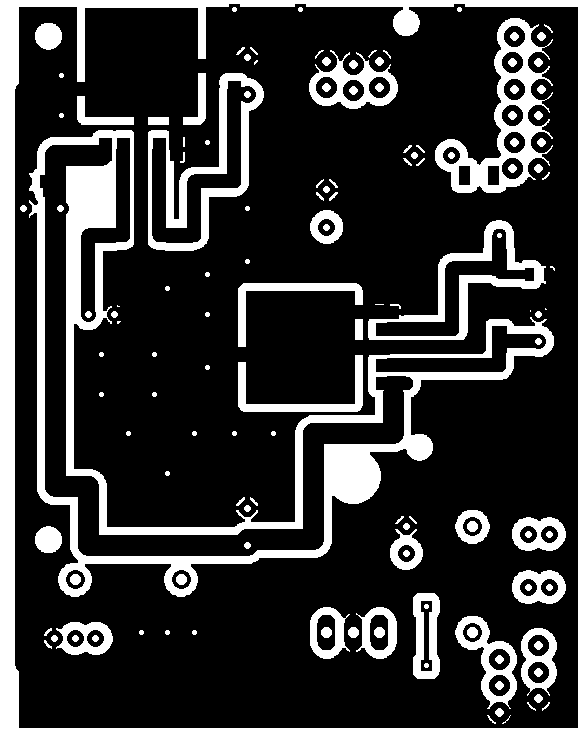 Protection circuit inside camera box. Connected directly to the grounding screw on the bottom. 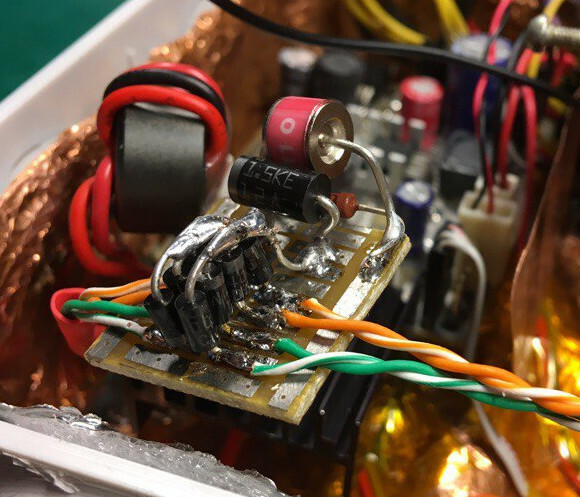 This module built using two impulse converters LM2576. This device is simple to use and requires only few external components. 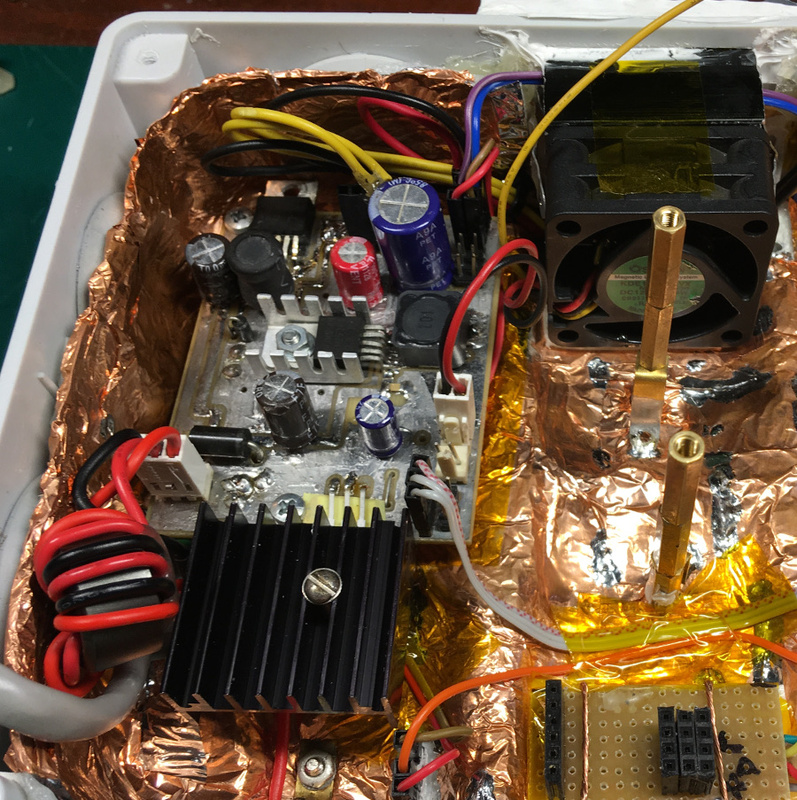 12v is used for PWM-controlled coolers and for the IRIS motor. This converter is linear 78S12 which is able to provide enough current without overheating. All the heat of this converter is also used for warming up air inside the camera box. T1 and Q1 is a driver for the coolers. 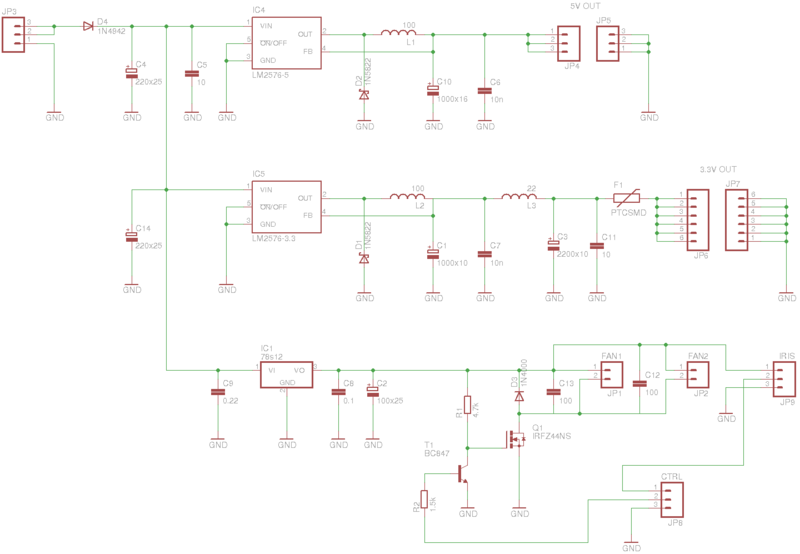 Input signal is PWM from the Raspberry. It’s good idea to put some additional inductors and capacitors near the fans. Values should be hand-picked depending on how stable your fans on low rpm. In my case used 100 microhenry and 220 microfarads. 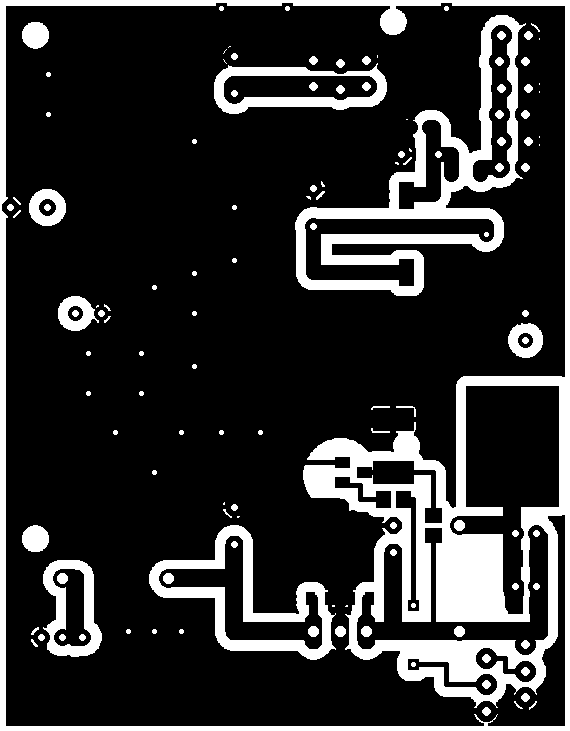 All circuit is placed on two-layer handmade PCB. 3.3v is used for the Raspberry and all I2C devices. 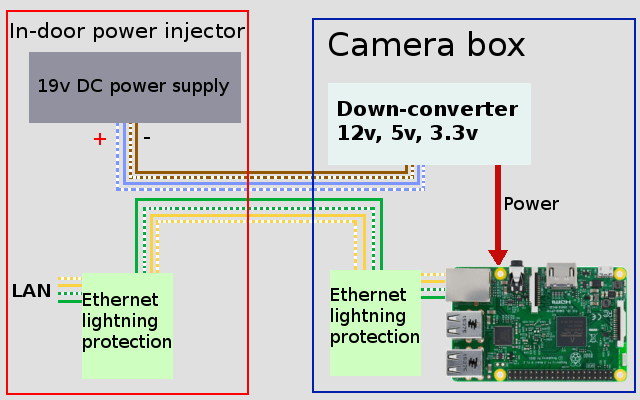 5V is connected directly to USB camera cable bypassing the Raspberry board and additional connectors. Also this voltage is required for CPU and should be also connected to the Raspberry 5v line. End of the part 2. 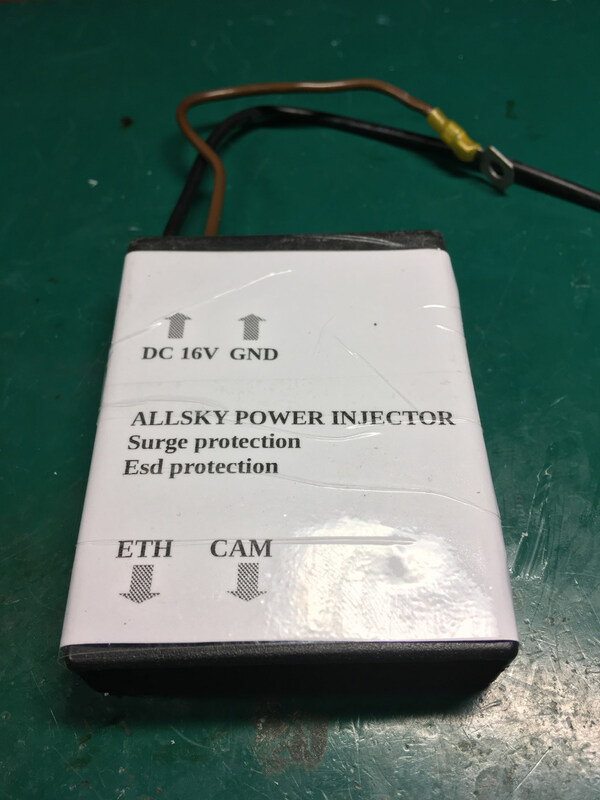 Previous Previous post: Autonomous Allsky camera with Raspberry PI. Part 1: overview.